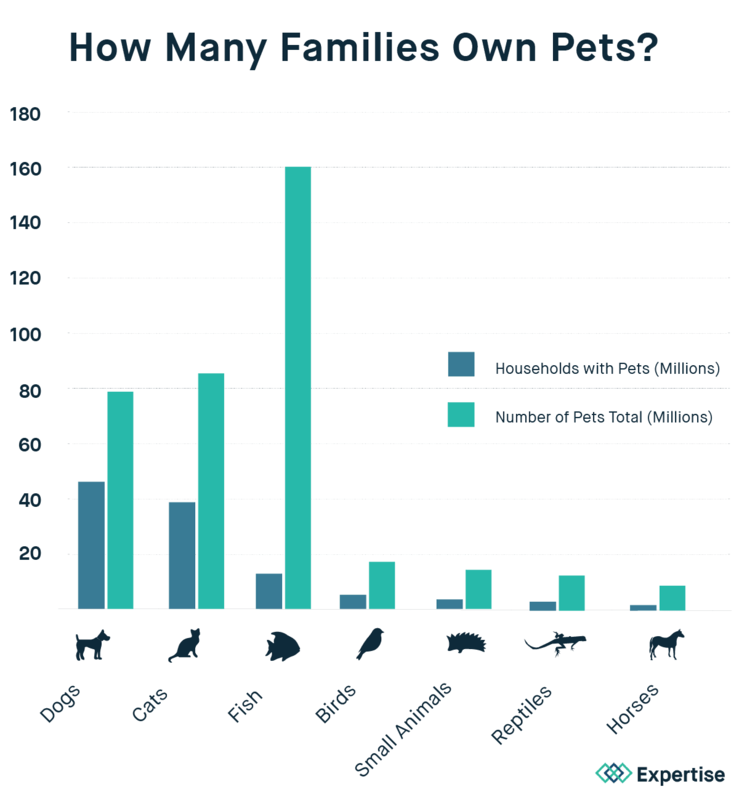 About 95% of the 164 million Americans who are pet owners consider their animals members of their family.1 Pet owners make huge investments in food, toys, and much more to ensure their companions have happy and fulfilling lives. 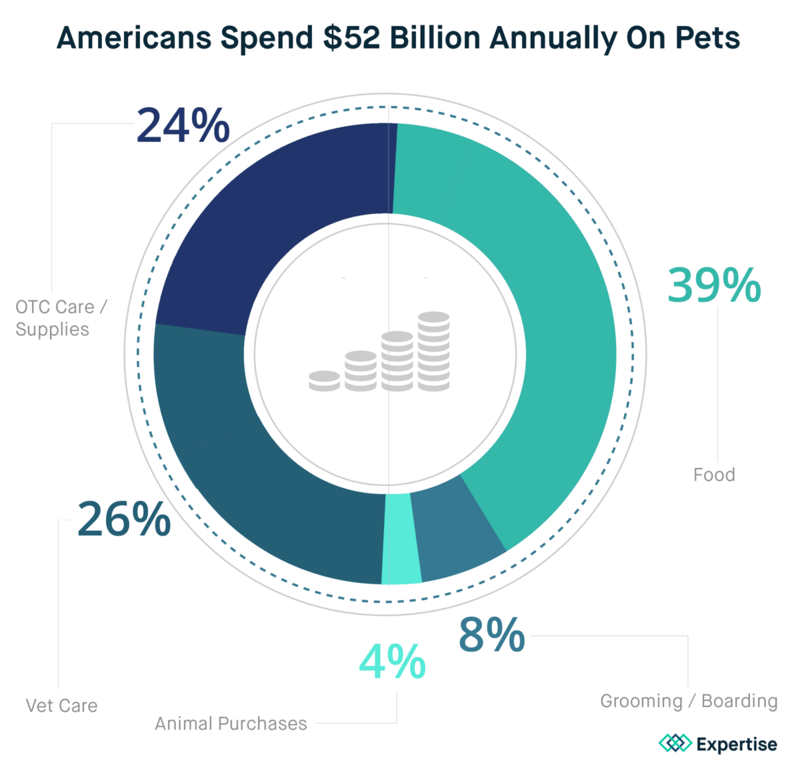 In total, Americans spend more than $50 billion per year on pets,2 mostly on food and health costs. That’s more money than what’s spent on coffee and bottled water combined! In the midst of all that care and cost, many pet owners don’t think to look to the risks that exist for their pets in their own home. If you love your pet enough to invest in their care in so many other quarters, you shouldn’t let the space they spend their days be the thing that could cause them harm. 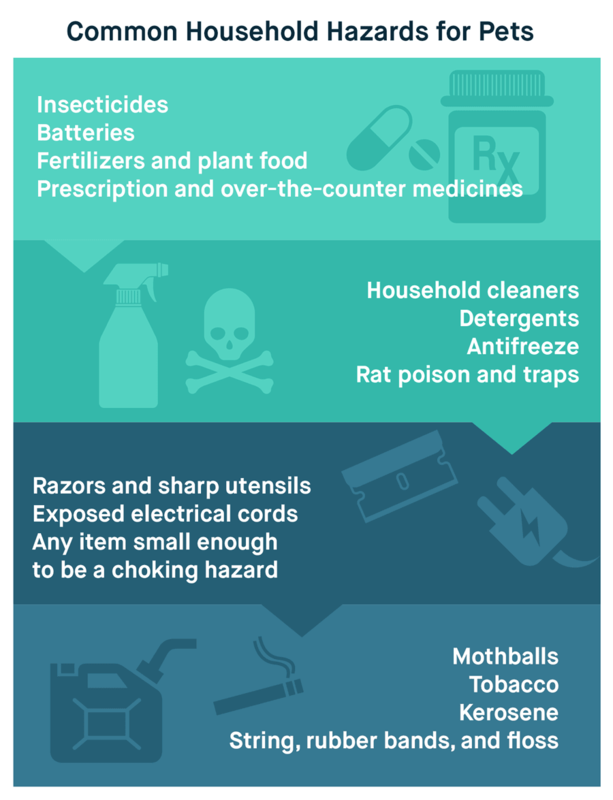 The average home is filled with items that could potentially harm a pet. If you toss old razors into your bathroom trash can, your pet could get into it and end up with cuts. If you leave chocolate where a pet can reach it, you’re likely heading to the vet soon. 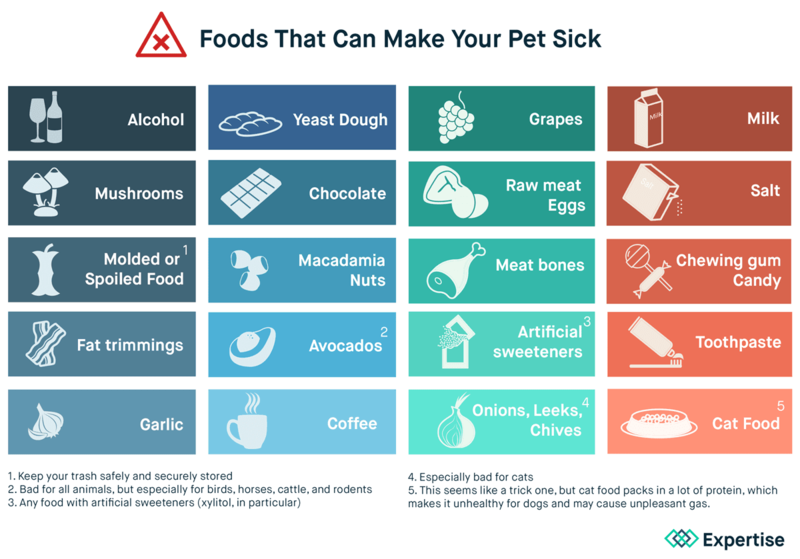 All these items can cause problems if your pet gets ahold of them. Some of these are everyday items you need to keep around, but you can make a point to store them somewhere where your animals can’t reach. Animals, especially dogs, have a way of looking at their owners so sweetly during meals that it seems downright cruel not to pass a little of the food on your plate. It’s a natural and kind-seeming desire that can actually cause a lot of harm. Unfortunately, animals can’t properly digest all the foods that people eat. For all pets, it’s best to stick with only feeding them pet food. If they get ahold of a piece of human food you drop now and then, it won’t usually be an issue, but it’s better for their overall health if most of what they eat is the kind of food made specifically for their species. While prevention’s always the best goal, sometimes animals will get into things they shouldn’t. Your first move should be to call the vet. They’ll give you a clear idea of how serious the issue is. If your 60-pound dog eats a small chocolate bar, they’ll probably tell you not to worry too much, but if it’s a serious emergency they’ll let you know what to do. If your vet’s not available or you’d rather reach a poison specialist right away, you should call the ASPCA Animal Poison Control Center at (888) 426-4435. There’s no uniform way to pet-proof your home- it varies by pet and home. To get a more personalized idea of what you can and should do to make your home safe for a pet, you may benefit from talking to an expert. In the meantime, we’ll take you through a typical home room-by-room to discuss the common hazards found in each and suggest easy ways to deal with them. The kitchen is probably the most dangerous room in your house – for you and your pets. You at least know what items to avoid, but animals don’t see the same risk in a hot stove, sharp knife, or indigestible trash items that you do. The most effective way to make your kitchen safer for your pets is to make it inaccessible to them. For some pets, you can install a gate to make it impossible for them to enter the room without you letting them in – but this solution might be insufficient if you have an agile pet prone to making tall leaps. In that case, you need to attend to each of the risky areas separately. Problem: This is probably the biggest risk since kitchen garbage cans sometimes hold tasty treats for hungry animals. Solution: You can buy special garbage cans with lids that lock to keep them out. Or you can keep your garbage cans stored behind a pantry or cabinet door (although you have to be vigilant about keeping the door closed). Problem: Kitchen cabinets contain any number of items that can cause problems for pets – toxic cleaning supplies, dishes made of (breakable) glass, and sharp utensils, to name a few. Most animals aren’t able to open cabinet doors, but if you end up with an especially smart or savvy one (or a more exotic pet, like a raccoon), you need to be concerned. Solution: Even the smartest of pets should be foiled by installing simple child locks on your cabinet doors. You don’t have to worry much about the individual items in the garbage or cabinets as long as they’re stored in ways that make it impossible for your pets to access them. Good news! For the most part, bedrooms and living rooms are pretty safe. Since these tend to be the rooms that pet owners spend the most time with their pets in, we do want to address the few safety hazards that could cause problems. Problem: Dogs with chewing tendencies can cause a lot of frustration in what they ruin, but when it comes to electrical cords, the biggest risk isn’t to the cords themselves. You don’t want your pet getting a jolt of harmful electricity. Solution: Wherever possible, keep the cords off the ground so they’re out of reach. In the instances where that’s not an option, you can try to block them with furniture, tape them to the walls so they’re less tantalizing to your dog, or try a product designed to discourage chewing like a cord cover or chew deterrent spray. Problem: Many of the small, everyday items you have around the house can become a choking risk for your pets. Jewelry, pens, batteries, and paper clips – things that couldn’t seem less harmless in most contexts – can become a serious concern if your pet thinks it could be fun to chew on. Solution: Do a review of everything in your living room and bedroom that could be a risk and store it somewhere out of reach – either too high up on a shelf for your pet to access, in a closet or pantry behind a door, or in a box with a sealed lid that your pet won’t be able to easily open. Problem: Small pets may have a hard time jumping on and off of tall pieces of furniture, especially once they start getting on in age. You don’t want your pets to hurt themselves just trying to get up on the couch to hang out with you. Solution: Buy or build some steps or a ramp to make getting up to their favorite spots easier on them. Some pets might have little reason to ever spend time in the garage, for others it might be a regular destination because that’s where they stay when you’re out or during the night. If your animals will be spending any time in the garage, you need to make it pet proof. Problem: Your tools can be a choking hazard and the sharper ones can cause cuts or other injuries. Solution: Make sure you put them up out of reach. Depending on the layout of your garage, that could mean putting them in cabinets, in your workroom, or simply putting a lock on your toolbox so they can’t get into it. If you don’t have a good out-of-reach spot in your garage for your tools and don’t want to keep them in the house, it may be worth investing in having some cabinets or a comparable sealed off storage space installed. Problem: You’re probably good about keeping the inside of your home at a comfortable temperature, but most of us don’t think much about the temperature of our garage. That’s all well and good, unless you’re expecting to keep your animals in there for any length of time. Solution: If it’s a time of year that’s especially hot or cold, make sure there’s a fan or space heater in the garage with them to compensate. If the forecast warns of extreme weather, go ahead and find somewhere to keep them inside rather than risk the health concerns that can come with overheating or freezing. 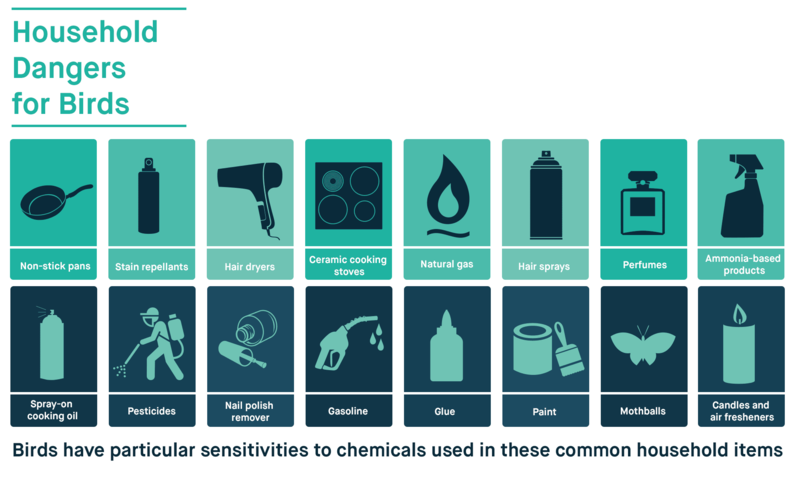 Problem: Many of the chemicals in our cars, cleaning supplies, and lawns get stored in the garage and many of those need to stay well out of reach of our animal friends. Antifreeze in particular can be deadly to pets, but any other chemicals you have should similarly be stored where pets can’t get to them. Solution: Wherever you figured out to put your tools to keep them out of reach, do the same for your car and cleaning chemicals. Make sure they’re behind a closed door, a lock, or some kind of barrier that keeps your pet from getting into them. All these smaller rooms should either be treated as off limits to animals, or pet proofed along with the rest of your house. In particular, if you use one of these rooms to keep your animal in when you leave the house, or if you have a pet that treats one as a comfortable safe space, you need to make sure nothing’s accessible that could cause harm. Problem: Items like cleaning supplies and prescription medicines must be your priority. You have to be careful not to leave them out where your pet can reach them. Solution: Keep them behind closed cabinets or high up where they’ll be out of reach. If you have a pet with a skill for opening cabinets, use some of those child locks we recommended for the kitchen. Problem: If you have a cat that likes to curl up in small spaces, your washer and dryer could become a deadly trap. Solution: Make sure you always make a point to check the washer and dryer before you start it to confirm that your pet isn’t inside. And keep the doors to it closed in between uses. Problem: Toilet water is not the safest water for your pet to drink. You use chemicals to clean your toilet that you don’t want them ingesting. Also, it’s flat-out unsanitary. Solution: The first simple solution is to make sure your pet always has clean water in their bowl so they’re not tempted. The second simple solution is to keep the toilet lid down. If you find that’s not enough to keep your pets away (or you’re not too consistent about the latter suggestion), then you can buy a Drink No More gadget to let you know when your pet is heading for the toilet bowl. The spaces we like best for spending time outside can come with some hazards for our pets as well, particularly dogs. You want to let them be outside with you when you spend time on your porch or balcony, so take a little time to make sure the space is safe for them. Problem: Obviously this problem is specific to balconies, but if you’re high up, you have to worry about your pet falling off the edge – cats may be able to manage the fall, but a dog will likely be severely injured. Solution: Buy a mini-fence to put around your balcony to make sure they don’t have the chance of falling. If you block any space along the edges they could fit through, you can trust them to hang out with you on the balcony without concern. Problem: Decks and porches may have crawl spaces underneath them that a pet could get stuck in. Solution: Invest in a mesh screen that blocks the crawl spaces, so they don’t have the option of going in after a toy or lizard and getting stuck. Problem: Anything hot comes with burn risks, but a grill also tends to emit tempting meaty scents that make them especially attractive to your pets. Solution: Use plenty of caution anytime you have a fire or BBQ going and keep an eye on your pet. Your pleasant backyard gathering shouldn’t cost them an unpleasant burn. If you have a yard, your pet will likely spend a significant amount of time in it. Most yards are largely harmless, but for pets with escapist tendencies or yards with certain types of plants in them, you need to be careful. Problem: A missing pet can be a terrifying experience. Beyond your own yard there are fast moving vehicles, other threatening animals, and untrustworthy humans who might be tempted to steal your beloved furry family member. Solution: A good fence is paramount if you’ll be letting a dog out in your yard. Even if your fence seems mostly adequate, you should make a point to check for spots your pet could fit through after especially windy days or big rainstorms that could affect the sturdiness of it. If you have a dog that’s a digger, you can try putting cayenne pepper along the edge of your fence, or burying anti-dig yard guard so they can’t get through even if they try. If your pet’s a magician with special escape skills no matter what you try, technology can come to the rescue. Get a pet GPS, so you can pull up your pet’s location through an app the moment they disappear. Problem: Some plants we find lovely can be poisonous to our loved ones. Solution: Learn which plants are a concern and check your yard for any of the offenders. Problem: Many items common to backyards like sticks, rocks, or fruit pits can serve as choking hazards for your pets – especially any items that look like they may be tasty or that resemble toys. Solution: Keep an eye on your pet when they’re in the yard and do occasional sweeps to look for anything suspicious so you can dispose of it. While dogs and cats are perhaps the most common pets, fish are actually one of the most popular pets in the US,7 and we also don’t want to neglect the needs of other pet owners. More than 10 million Americans own fish, reptiles, rodents, ferrets, rabbits, hamsters, or turtles,8 so we’ve added some tips for pets that primarily live in cages and tanks. You have to commit to regular aquarium maintenance. You should change out about a quarter of the water in the tank once a month and keep an eye on the thermometer in your tank to ensure the temperature of the water stays at comfortable levels.10 Also, make sure to clean out any algae that build up about once a month or so. For birds, the first space you need to consider is the birdcage. Is it big enough for your bird to live in comfortably? Are the bars close enough together to keep it from escaping or getting its head stuck in between them? Make sure your birdcage includes perches for the bird to rest comfortably on throughout the day. And keep the cage clean and the water bowl regularly filled. When you let your bird out of the cage, beware of what they can encounter as they fly. Make sure your ceiling fans are turned off and keep windows covered so they don’t try to fly through them. Limit what rooms they can access (bathrooms and kitchens pose many potential safety hazards) and keep them away from other pets that could be a danger to them, like cats. Turtles, frogs, iguanas, snakes, geckos, toads, salamanders, and chameleons are colorful, exotic, and quiet pets. These pets are generally lower maintenance than a dog or cat that roams your home, that doesn’t mean there aren’t safety concerns with these animals. 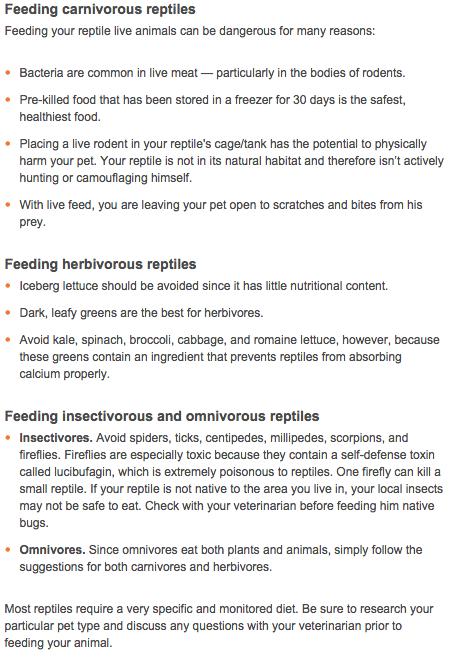 If you own a reptile or amphibian, it’s important to make sure you have created a proper living situation. Whether that’s a desert, woodland, semi-aquatic, or aquatic environment, this is essential to your pet’s well-being. A primary risk with owning a reptile or amphibian is the risk of becoming ill with salmonella, a germ that causes serious and sometimes fatal illness in people. Many turtles commonly carry salmonella on their outer skin and shell, but the germ is also found in many other reptiles and amphibians. People infected with Salmonella may experience diarrhea, fever, stomach pain, nausea, vomiting, and headache within 6 to 72 hours after contact with the bacteria. Symptoms last about 2 days to 1 week.13 Most people recover without treatment, but some get so sick that they need to be treated in a hospital. Clean pet homes outside of your house, and do not drain water into your kitchen sink. Disinfect any surface your pet may have come in contact with outside of its shelter. Do not bathe your pets in a sink. This decreases the risk of contamination. Do not keep food or drinks around your pets. Making sure everything in your house is pet proofed is a start, but with natural disasters affecting the lives of people around the world with a growing frequency, you should also take moves to be prepared to protect your pet if one comes your way. While the disasters your area may be prone to will vary based on geography, the main steps you can take in advance to help make sure your pets are protected are pretty similar across the board. The systems and plans our country has in place for dealing with natural disasters often don’t consider pet owners. That makes it your job to make sure you’re properly prepared so you don’t face the choice of staying and risking yourself and your family, or leaving your pet behind. Here are a few precautions you can take to make sure you’re prepared if a disaster strikes. Make sure your pet is identifiable – Make sure your pets are wearing collars with tags that have your contact information on them. For extra protection, talk to your vet about getting them microchipped as well. If your pets get lost in the process of fleeing a natural disaster, these simple steps will vastly increase the chances of them finding their way back to you. Keep them inside – A dog or cat that spends time outside when you’re not home will be at greater risk during a storm or flood. Find a good spot inside for them to stay when you’re not home so they won’t be left to the whims of the weather. Keep up-to-date on vaccinations – This will affect both where you’re allowed to take them and what risks they face if they escape. You don’t want to be turned away from a hotel or sanctuary in a moment of need because your pet isn’t vaccinated. Prepare an emergency kit – Think of all the things you’d need for a few days of travel with your dog – food, a leash, clean-up bags, water, any medications they take, and the paperwork that shows they’re up-to-date on shots. If you keep everything together, you’ll have an easier time grabbing it in a hurry if you need to leave suddenly during a natural disaster. Keep a handy list of nearby pet-friendly hotels – BringFido, Pet-Friendly Hotels, Marriott, Choice Hotels, and Pets Welcome are some of the many websites you can use to find a place to stay. Animals give us so much. They help lower blood pressure and heart rate; decrease the risk of heart-disease; ease stress, anxiety, and the effects of depression; and provide a consistent source of love and affection.14 In exchange, it’s our job to take care of them and make sure nothing we put in their path causes them harm. The time and investment it takes to pet proof your home is easily worth the benefits you’ll receive from having a safe and healthy pet. Lora is a Farm Service Agent for the U.S. Department of Agriculture, working with local farmers. 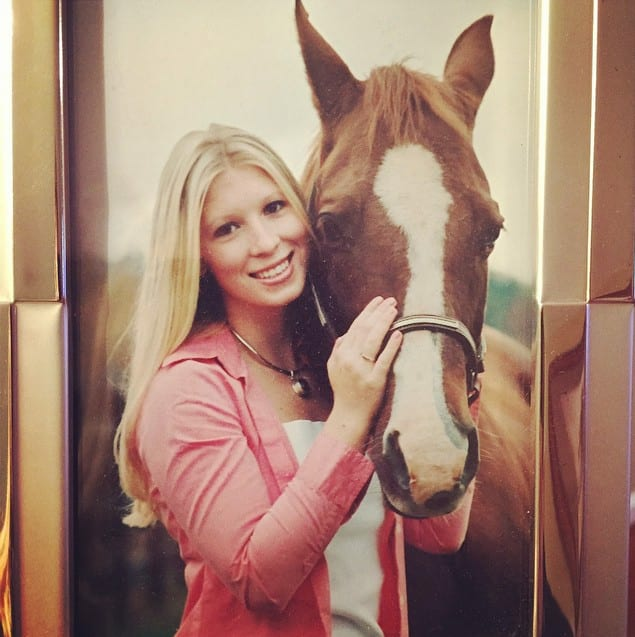 She graduated from Virginia Tech with a degree in Animal Science. Lora is a life long lover of animals and currently cares for an Australian Heeler, a rescue cat, and two horses.